Diana, Princess of Wales, formerly Lady Diana Frances Spencer, was born on 1 July 1961 at Park House near Sandringham, Norfolk. She was the youngest daughter of the then Viscount and Viscountess Althorp, now the late (8th) Earl Spencer and the late Hon. Mrs Shand-Kydd, daughter of the 4th Baron Fermoy. On 24 February 1981 it was officially announced that Lady Diana was to marry The Prince of Wales. As neighbours at Sandringham until 1975, their families had known each other for many years, and Lady Diana and the The Prince had met again when he was invited to a weekend at Althorp in November 1977. The Princess of Wales had two sons. Prince William Arthur Philip Louis was born on 21 June 1982 and Prince Henry (Harry) Charles Albert David on 15 September 1984, both at St Mary's Hospital, Paddington, in London. The Princess had seventeen godchildren. 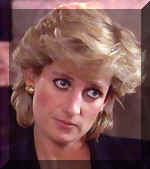 In November 1995, the Princess gave a television interview during which she spoke of her unhappiness in her personal life and the pressures of her public role. The Prince and Princess were divorced on 28 August 1996. The Prince and Princess continued to share equal responsibility for the upbringing of their children. The Princess, as the mother of Prince William (second in line to the throne), continued to be regarded as a member of the Royal family. 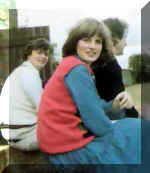 The Queen, The Prince and The Princess of Wales agreed that the Princess was to be known after the divorce as Diana, Princess of Wales, without the style of 'Her Royal Highness' (as the Princess was given the style 'HRH' on marriage she would therefore be expected to give it up on divorce). The Princess continued to live at Kensington Palace, with her office based there. The funeral of Diana, Princess of Wales took place on Saturday, 6 September, in Westminster Abbey. It began at 11.00 a.m. and lasted for about one hour. Before moving in Procession to the Abbey for the service, the Princess's coffin had lain at the Chapel Royal, within St James's Palace, until the evening before the funeral. It was then moved to the Princess's apartment at Kensington Palace, where it remained overnight. The Bishop of London and the Sub-Dean of the Chapels Royal kept a candlelit vigil of prayer over the Princess's coffin throughout the night. On the morning of the funeral her coffin was borne in Procession from Kensington Palace to Westminster Abbey. Her brother, Earl Spencer, Prince William, Prince Harry, The Prince of Wales and The Duke of Edinburgh, joined the Procession in The Mall and walked behind the coffin to the Abbey. Following the service, the Princess's coffin was taken by road to the Spencer family home at Althorp for private burial in sanctified ground on an island in the centre of an ornamental lake. The grave faces east, towards the rising sun. The Althorp estate was opened to members of the public who wished to view the lake where the Princess is buried, from 1 July 1998 to 30 August 1998. Details can be found on the Althorp House web site at www.althorp.com. Books of condolence were opened for signing at St James's Palace and at Kensington Palace until 21 September. The books were then offered to the Spencer family. Some 580,000 condolence messages sent electronically in the week after the Princess's death were also offered to the Princess's family. It was estimated that 31 million people in Britain and two and a half billion people around the world watched the funeral on television.